I still can't believe that I have my own store, that is just basically loaded with finds that I LOVE. I mean what a dream right? Ok, so it's not all my style. If I didn't shop for mass appeal as well, I would not be a good business person now would I? Some things not ideal about my job? When you go out handpicking everything, sometimes, the pickings are slim. You're not going to find great scores every week! Aaaaand, trying hard not to keep everything, can be, well hard! 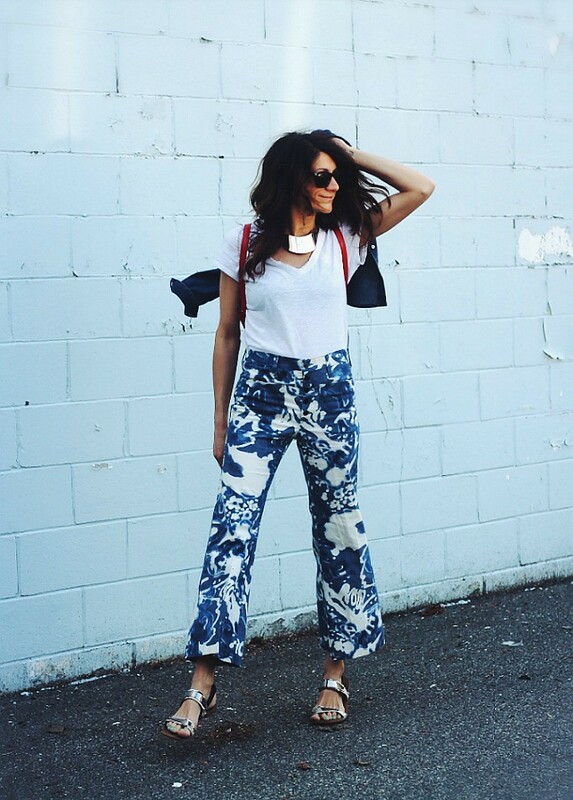 There are some pieces, ahem, these pants, that you just know you have to keep. I mean these are RIDICULOUS. Super cool, on trend, AND my size...whaaaaaat!? When you find a piece you cant part with you kinda just know. This entry was posted on Tuesday, April 21, 2015. You can follow any responses to this entry through the RSS 2.0. You can leave a response. 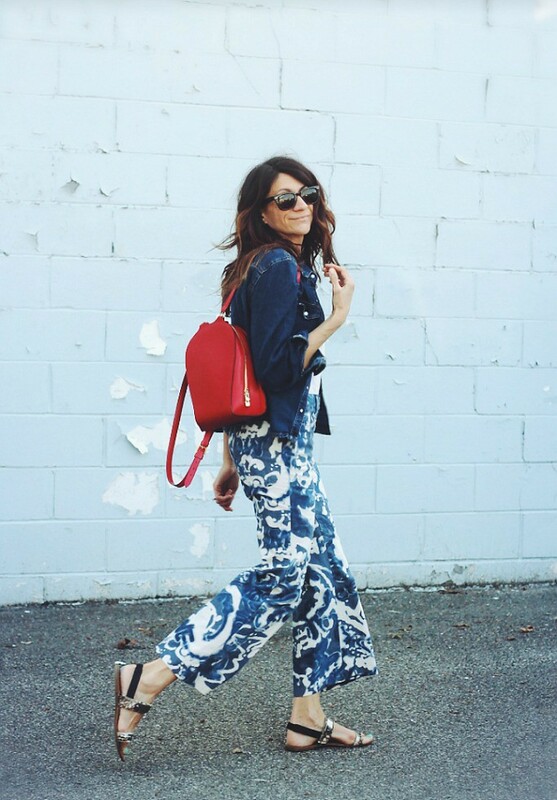 Loooove these pants girl, crazy design, adore it! Oh gosh love those pants!!! These pants are after my own heart!! Beautiful and flirty!! 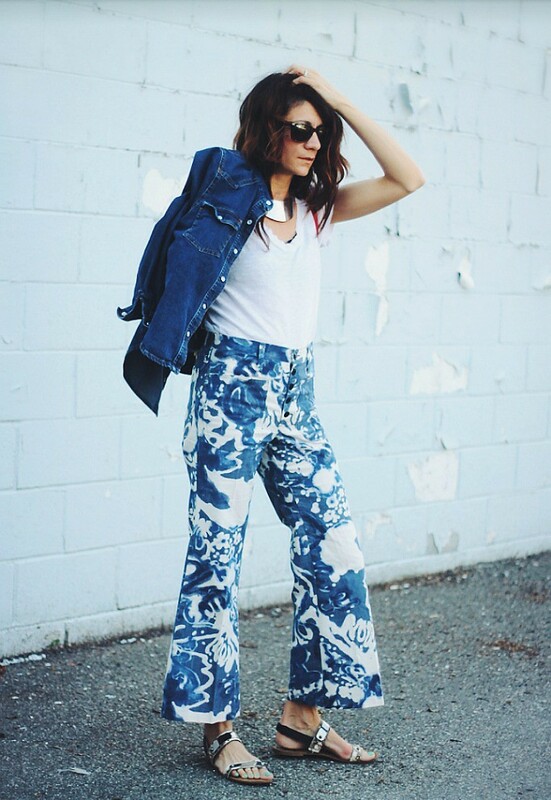 Cool pants :) love the style! I used to run a fashion store as well so I know what you mean when it's so tempting to keep many of the designs! 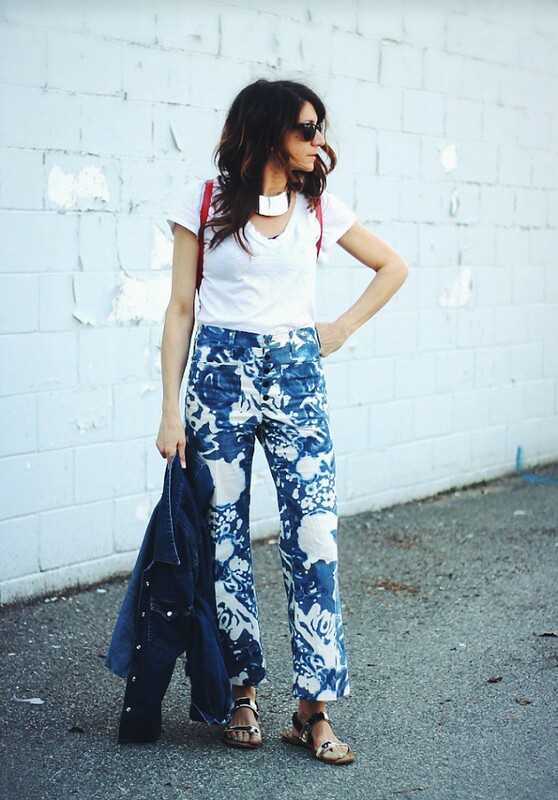 Love the pants on you, such a statement piece with gorgeous prints! Those trousers are fab, good call deciding to keep them! Ohh, love this looks!! The pants are amazing! Love the bag! Brings so nice colour in the outfit, great combination!